It’s officially Summer, and EZLynx has some handy marketing tips for independent insurance agents to help heat up your sales. If you don’t have time to create an in-depth marketing campaign, we’ve got you covered. Taking small strides and focusing on your community and customers can go a long way. You can learn what works best with your agency the more you try, and that will, in turn, help you develop a more well-rounded strategy for the future. Need some tips for Summer marketing? Here are some strategies to try this year. Customers love being appreciated! Host an ice cream social or fun-flavored event in your office. Invite customers to come in for an ice cream and to review their policies or to update personal information. Beat the heat while also having fun. Partner with a movie theater or local eatery to award a winning customer “a night out” for participating in a social media giveaway. Everyone loves a social media giveaway and getting things for free. Make this Summer extra memorable for your clientele. Whether it’s an apartment complex’s pool party, a concert, or a school or University related function, put your name and company branding out there. Create a unique flyer and other marketing materials to help promote the event you’re sponsoring to ensure it’s a hit. Summer brings in plenty of holidays, so have fun with them. You can do anything from hosting a hot-dog eating contest to sponsoring a fireworks show. Get creative with the holidays. One of the easiest places to start is mentioning the changing weather. This is a sure-fire way to connect with your customers, readers, and followers. Work with your local Habitat for Humanity chapter or other give back organizations. This will not only help get your name out there, but your team will also be helping those in the community who need it most. That is a win/win. Everyone benefits from helping those in the community. If you’ve tried something different or have a success story to share, please let us know in the comments. In the meantime, if you’re looking for industry-leading insurance agency software, look no further than EZLynx – your one-stop-shop for all things for independent insurance agents. Having an aesthetically pleasing website that also encompasses local SEO and fresh content is a must in the insurance industry. Not just any old website will do, either. Your customers need to be able to recognize and find your business easily without navigating through a bunch of clutter. Our team at EZLynx takes it a step further with Agency Website packages and post-launch website management assistance. Our packages range from having a good starter website with up to 5 pages, all the way to having up to 15 locally optimized pages with unique monthly blog content and so much more. You can choose which package is best for you and work with an EZLynx associate to complete basic information that will be incorporated in to your website. There are numerous benefits included in our premium Gold Website package, and some of those may fly under the radar if you’re not 100% familiar with our offerings. Below we’ve highlighted some of our favorite features available through the Gold Website package. 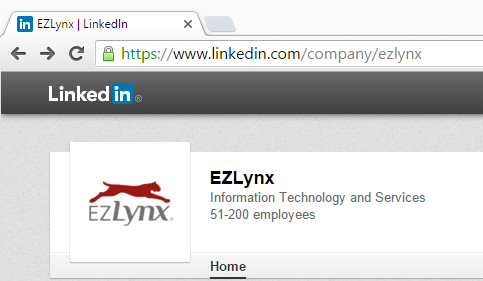 EZLynx is dedicated to making sure that your experience is seamless. We have friendly and knowledgeable associates who will be there to help you every step of the way. A website associate will get in contact with you after your sale is completed by a sales representative, and will be there to answer any questions you may have before and after your site has been launched. After your website launches, a website analyst will reach out to you. Your website analyst is your post-launch website contact. They will be able to answer any questions you have regarding your website and will also be able to assist you with any changes you need to make. Five hours’ worth of updates per quarter are budgeted in to your package just in case you want to update your site, add a new page, or change your address. Each new EZLynx Gold Website includes one unique blog article per month that is added directly to your Insurance Blog. If one blog per month isn’t up to your speed, we can provide you with your blog login information and instructions on how to post your own blog content. AgentInsure is an online quoting website owned by EZLynx. The website was created to bring you the convenience of the internet along with the security and free consultation of an insurance agent. We enlist all of our Gold Website agencies through AgentInsure to help generate additional leads. With the EZLynx Gold Website package you have the option of having Google Translate installed on your website, allowing persons who speak any language to easily navigate your website. Additionally, we offer a Spanish Consumer Quoting rating engine that, while not included, can be purchased separately. EZLynx Social Reach & EZLynx Local Reach are two completely different but absolutely important benefits in purchasing a Gold Website package. EZLynx Social Reach places your website in front of potential customers on Facebook, creating local brand awareness for your agency. EZLynx Local Reach is an online local listing program that helps generate additional relevant traffic to your website. Every paragraph on your website has been carefully looked over and optimized to have a better chance of being pulled in local search result queries. Additionally, each page on your website is equip with metadata information (that is not visible on your website itself, but on the backend) that helps guide the internet in to knowing more about your website, for a greater change of it being pulled in local search. Monthly blog articles are also written from a locally optimized perspective. Have you ever visited a website from your mobile device that just didn’t look right? Maybe the images were too big or the text was too small. We’ve got that covered. Every EZLynx Agency Website is developed with a responsive feature unique to the device it is being used on, whether that is a phone, tablet, or computer. Some customers want to have the option to do it themselves, and our Content Management System allows them to do just that. Although not every component is editable from our Content Management System, if you have an address to change or a photo to add you can make those changes quickly and efficiently through this application without having to get an EZLynx associate involved. Many independent insurance agents feel the tremendous pressure from the behemoth directs, captives, and high volume shops that tend to dominate the airwaves and the search results. While there is certainly reason to be concerned about the impact these companies have on the smaller independent agents, there is also much to be optimistic about. National brands are forced to provide a compelling online experience to counteract the fact that they cannot provide the personalized, hands-on service that a local independent insurance agent can provide. Continue to make yourself known as a trusted agent in your community. EZLynx is continuously enhancing our suite of consumer-facing solutions to help you even the online playing field with these national brands. We provide personalized website services, integrated consumer quoting, and a customer self-servicing portal. The cornerstone of a successful local marketing strategy requires effective search engine optimization (SEO). Establish a solid local SEO strategy. It’s important to realize that an independent agent cannot compete nationwide against large insurance comparison websites or carrier websites for broad search phrases like “auto insurance”, but they’ll always have an advantage at the local level, e.g. “auto insurance agents near Dallas, TX”. With the Gold-level of EZLynx Agency Websites, we’ll take care of some of the local SEO best practices for your agency. We’ll also hold ourselves accountable by providing you with quarterly website performance reports – even if it’s bad news! Network with other local businesses, such as attorneys, accountants and other business professionals. Send them referrals, and hopefully they’ll do the same. Local businesses in your city likely host networking events. Attend as many as possible, and bring your memorable print collateral with you to hand out. Utilize communication solutions such as email marketing to help with your agency’s retention. The more yearly touches, the better chances you’ll keep a customer for life. We all know it’s cheaper to retain a customer than to acquire a new customer, but we rarely take the steps necessary to achieve a high retention rate. Check in from time to time to see if they are happy with their current coverages, send happy birthday emails, weather alerts, or periodic emails with tips and community updates. Just be sure you don’t go overboard – no one likes spam. EZLynx Email Campaigns, part of our Communication Center bundle, is a great way to handle sending all of these kinds of emails directly from EZLynx. We have exciting plans for enhancing this tool throughout the year. If you’re ready to take your retention efforts to the next level, ask your sales rep about EZLynx Retention Center. This retention workflow management tool and consulting service simplifies the tedious task of working through your renewals for the day, ensuring each customer is touched throughout the process. This is the time when you are at most risk of losing the customer, so you cannot afford to hold your breath and just hope they renew. Bring your agency up-to-date with a complete customer lifecycle solution like EZLynx, which includes a feature-rich agency management system, comparative rater, agency website, marketing & communication tools, service tools, and more. While we certainly think we provide the best set of solutions, regardless of which tools you use, you cannot afford to put your head in the sand when it comes to new technology and the advantages it brings. The sales process involves a lot of back and forth communication. Prospects are often worked on by multiple users in your agency, so it’s all too easy for tasks to be duplicated and communication to be repeated. It’s important that you have a well-defined process for working new leads and processing them through the sales pipeline. Make sure you have the tools to help those in your agency collaborate and stay organized. The Agency Workspace in EZLynx is a great way to keep track of due dates, review notifications, and create notes and tasks for any applicant without leaving the page you’re currently working on. This simple feature spans across all parts of EZLynx, giving you easy access no matter what you’re doing. Later this year we’ll be announcing some exciting updates related to how you manage your sales workflow to help streamline your agency’s process even further! It’s no mistake that by combining the full suite of EZLynx products and services, you have essentially minimized the perceived advantages that these national brands have over independent agents. Learn more about how EZLynx can help your agency be more successful. In the day and age of instant gratification, clicks, likes, and shares, marketing for insurance agencies has shifted drastically over the past few years. There is no question about it, either – you need a presence on social media, especially Facebook. With more than 1.44 billion active monthly users, Facebook is the largest social media network online today. You’d be doing your business a disservice by not being a part of this network. Facebook marketing is not a difficult objective, but it does require plenty of time and attention. The tips below should be able to help you get a broader idea of some tips to help you successfully market your insurance agency on Facebook. Insurance policies are products that don’t tremendously differ from one company to another – the difference is the customer service and experience provided. People will buy insurance from you because they like you; the product is secondary to your character. Facebook allows you to measure your page’s engagement, which is a valuable tool. You can monitor it from a week-to-week snapshot, showing your Page Like progress, as well as post reach and engagement. This information will tell you how your followers respond to different media posts. If blog articles don’t draw large engagement, maybe try videos or unique photos. The purpose of Facebook marketing is to ensure your business remains top-of-mind for your potential client base. The goal is that when they go to buy a new home or car, they’ll think of their friend who sells insurance. Before going too far out on a limb with your engagement ideas, knowing the rules of this platform is certainly a best-practice. First, you must be familiar with your state’s regulations for insurance marketing. You should never give out false information when saying something online because there is a permanent record of everything online. Besides meeting your state’s regulations, you must abide by Facebook’s policies as well. In addition to all of that, you should use Facebook as a gold mine and not a dumping ground for every single article you think is cool. The truth is, it’s not about the amount of content being produced (although consistency is important). The importance has quality content flow through your channels on a consistent basis. Using Facebook Ads is a critical tool to use to grow your following online. You can customize your ad’s to target certain demographics, locations, and interests. You can also set how long an ad will run and chose your budget. You can start using Facebook ads for as little as $1 a day – however much money you want to spend. As an EZLynx Gold Agency Website customer, you are enlisted in Facebook ads. The campaign is on-going through the life of your Agency Website and is tailored to your location and business needs. Social media marketing entails a commitment to being social. Your prospective customers want to interact with you on social media to get to know you as a persona, not a company. This is an important thing to remember within independent insurance agencies. The idea behind social media is not to make an immediate sales or results, but to build relationships. The purpose behind Facebook is to form a connection with your potential clients. Realistically, not many people will search for an insurance agent on Facebook and try to message them for a quote. Instead by seeing a local, independent insurance agent in their News Feed, your business is on the top of the prospective clients mind. Some clients may search for you once they become a policy holder as a quick way to access your website or to find your phone number and other business information. What’s In YOUR Agency Management System? a) There is an excellent chance that your response is incorrect as it is most likely lower than you assumeb) How come you cannot tell me exactly what it is, for each line of business? b) How come you cannot tell me exactly what it is, for each line of business? Well, the answer to both of my statements above is very simple, but before we discuss the answers and why, let us chat a bit about retention, and its impact on your business and its employees. Assuming your agency has a high rate of retention, let’s say 90%. That appears to be an excellent rate, considering all of the outside influences that the independent agents face these days with direct writers, online marketers, and what have you. However, even though 90% appears on the surface to be something to brag about on the golf course with your fellow agents and brokers, a 90% rate of retention very simply means that you now have to work 10% harder than you did last year, just to break even! In addition, let’s also assume that you have been in business for ten years, and each year your agency is operating at a 90% retention level, so when you extrapolate that figure out in reverse, you are constantly having to work harder and harder than the year before, just so that you do not lose what you and your staff worked so diligently for previously! Let’s now complicate this calculation even further: have your carriers all called you this year and told you that they are going to raise your commission rates, increase profit sharing, and expect you to do less service work? I don’t think so…if anything, your commissions (if they haven’t been reduced), have most likely remained the same. Granted, premiums have increased so you will make up some of the revenue that way, but that is the equivalent of a supermarket raising the price of milk to offset the cost of bread. Furthermore, your agency expenses have been on the rise with labor costs, health care and other insurance costs, rent, utilities, etc., so an increase in premiums does not necessarily offset the 10% loss of clientele. There are a few different ways to manage this loss of business and revenue. However, you cannot address the issue until you are fully aware of exactly what the issue is, and can definitively determine exactly what the agency’s rate of retention is. So how do you do that? Well, to begin with, you need an automated tool that will help you to measure exactly how you keep your existing business. For instance, as a business owner, you should have at your fingertips the ability to go into your management system, request a report on business retained and have the ability to manage the renewal process. You should also be able to not only see this information when you request it but also be alerted to indicators throughout the policy year on factors that may cause the policy to not renew. If you have this information automatically provided to you and your appropriate staff on a regular basis, you may then implement a process and schedule tasks to address these areas of concern, before you receive the call requesting a BOR (broker of record), or copy of their existing declarations page, or even worse: an LPR (lost policy release) which indicates that the coverage has been replaced. Don’t work harder to generate less income…let automation do this for you. EZLynx has patented tools to automate these processes for you. For additional information on how EZLynx can help you and your business, please contact us today! Take a look around. If you’re in a room occupied by people, more than likely at least one person is on their phone right now and probably using a social media app of some sort. It may be you, right now, reading this article. The fact is, social media marketing is an extremely powerful tool, and you need to know how to control and manage your brand online. With such opportunity comes myths and someone waiting to tell you “but, this is how we’ve always done it.” Social media marketing is an ever evolving market and to be successful, you must stay at the forefront of your industry trends and news. Conquer the naysayers with our helpful myth-busting tips. Fact: More than 73% of Americans have a social media profile of some sort, some even have multiple. That number is up six percent from the year prior. Therefore, the majority of your customer base being on social media is extremely likely. 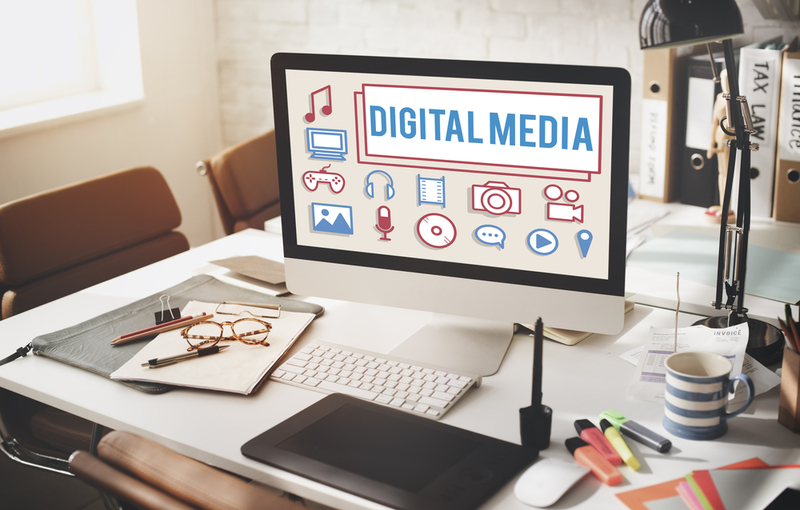 People look to social media outlets for local and national news, local goings on, and to keep up with companies, products, and people that they admire. Fact: With a proper plan in place, an automated social media strategy can be maintained without depleting your time. A quality social media marketing strategy in itself is a time-consuming process; we do not want to lead you to believe that as soon as you’re active on Twitter you’ll have a plethora of followers and leads in no time. However, with an automation platform, a calendar, and a constant stream of quality content, you can increase the amount of activity while reducing the amount of time invested. Marketing automation tools, such as HootSuite, allow you to schedule articles and posts to generate in the future, under your command. You can choose which platform you want to share on, what content you want to share, and when you want to share it. Checkmate! Fact: Not all social media platforms are appropriate for your business. No one needs to see your insurance agency on SnapChat. However you may be well perceived on Google+, Twitter, LinkedIn, and Facebook alike. Facebook has more than 1.5 billion active users on a monthly basis and is by far the world’s largest social media network. Insurance agents have the opportunity to expose their brand to a vastly wide audience. Similar to Facebook, Twitter is a popular social media vehicle. You have the ability to share relevant content, reach out to other users, and connect with clients in real time. Many major business organizations have people dedicated to responding to users on social media outlets. For instance, if you tweet to @SpotifyCares, you’ll most likely get a response within an hour or less. P&C Insurance Agents should follow big business social media models. Fact: Each business is unique, including your own personal, small business. This myth is possibly the farthest away from the truth. With any business, your goal is to customize your social media strategy to your audience and your specialties. As an independent insurance agent, your small business is representing a community. You need to think local. You do not need to follow in the ways of big box insurance companies like Geico or Allstate. You are trying to get through to your state – maybe even a couple of states – but most importantly, you’re trying to make an impression on your community. You need to focus locally; the goal is not to cast a wide net so much as the correct one. Fact: Social media should aim to create meaningful connections. Use social media as a listening tool. Follow your customers. Become in tune with their needs and what they are doing to make your business more successful. LinkedIn, a business-oriented social media networking service, will be celebrating its 13th anniversary this May. With more than 400 million users that represent more than 200 different countries, LinkedIn has grown into a very important marketing tool for many industries, including the insurance industry. LinkedIn offers an array of options to help you market yourself or your business, and although it may be a time-consuming task to take in, it’s overall pretty simple. LinkedIn is extremely user-friendly. If you’ve created an account, you’re already on the right track. People will judge you based on your profile. This is the first thing a new connection – and possible potential client – will see. How will you manage their first impressions? Similar to Google, LinkedIn (and other social media websites) are also search engines. You need to make sure you are easily found. Customize your URL – LinkedIn gives you the option to customize your URL on personal and company accounts, but not on group pages. Picture Perfect – Whether you are updating your personal or company LinkedIn page, make sure your photo or logo is professional looking and high resolution. Your profile picture should be 500×500 while your business logo should be a 400 x 400 square. Fill Out Your Profile Completely – Do not leave any section behind! Remember, we are capturing first impressions here. You want to be as detailed as possible. You can add skills and get endorsements for those skills on your personal profile. You can also feature professional memberships, incorporate branding into your background image, and showcase your work, awards, and certifications. Fresh content is the key to traffic, and traffic is the key to success, right? LinkedIn has two options for you as far as sharing and creating content goes. LinkedIn Publisher – This tool allows you to publish an article within LinkedIn’s free Pulse community, with the opportunity for thousands (sometimes, millions) of people to see your message. The engagement is typically pretty high and is a nice supplement to your website traffic. Share Content from Your Company Blog – Think about posting your blog content on LinkedIn after it is published on your website. As previously stated, sharing on LinkedIn increases engagement and traffic to your website and products. A LinkedIn group offers an open forum for users to share their opinions and thoughts about certain things and products. LinkedIn groups are tiny hubs where professionals in different fields provide marketing tips, engage with each other about industry trends, and acts as a community to support their fellow members. Within your company page, you may want to create a LinkedIn group to discuss new products and services, tips, and more. 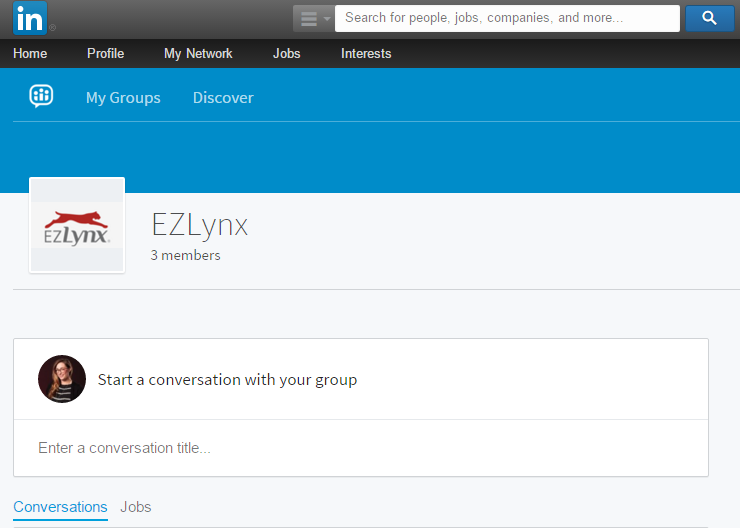 Within your group you can start conversations, post jobs, and see what your members have to say. You can add a link to your LinkedIn group to your email signature and to your website to help draw engagement and traffic, as well. Your ability to meet new potential clients is largely dependent by the size of your network and the quality of your content and connections. This doesn’t mean you should go on an adding frenzy, and add folks just for the purpose of gaining a large following. Engage other users in LinkedIn Groups, find connections you may know from previous jobs, connect with people in the same industry & trade tips. LinkedIn offers an array of possibilities to make connecting simple. Once you optimize your profile and begin to engage members in groups, you’ll quickly gain the proper connections to build your network in the most organic and genuine way. As stated previously, this is a time-consuming task, but the benefits could be exponential. LinkedIn makes it easy, too. If you have a smartphone or tablet you can access the services through an app, if you’re not near your desktop or laptop. With connections a click away, why aren’t you using LinkedIn to boost your marketing presence? Google Alerts is a great interface that allows you to define what types of content you are looking for based on keywords and phrases. Whenever something new is released, you will receive an alert notifying you of the article or piece of information. This helps save time and is very efficient. Reading popular insurance blogs and industry trade journals is an effective way of increasing your knowledge on a number of topics while staying in tune with current news. While most trade journals require a subscription, you can obtain a wealth of information with free options like PropertyCasualty360.com. Insurance Journal offers free downloading of articles for a certain time, so you have access to this information in a timely manner, even if you don’t have a subscription. Business Insurance also offers free articles for a certain time period. Another excellent resource that should be read by all insurance professionals is Emphasis, distributed by Towers Watson. Available every quarter, this is one of the “go-to” publications for higher-level executives, which can help you move up the ladder of success, and of course keeping up to date with the EZLynx blog won’t hurt either. There’s nothing like attending a conference to network with others and gain insight on the industry. Depending on your specialization, there are a number of events you can attend. Events in America carries an entire listing of insurance conferences and conventions held throughout the year which can be beneficial to your growth. Just remember to attend the sessions! Every major #insurance platform has a social media platform. Twitter is popular within the industry for connecting agents and information. Once you determine which influencers are most beneficial to you, following them on social media will keep you in the know. Your association should have both local and national events where you can get information specific to your area and locate resources that can assist your development. The association is designed to offer workshops, speakers and other informal gatherings that will allow you to build a network of like-minded individuals that can keep you in the loop of new developments within the industry, and also writes publication pieces that may be of interest. Identifying how to keep up with trends in your industry and expanding your knowledge base is the first step. Making time to apply these resources into your schedule can be challenging. Schedule some time on a daily or weekly basis to read or network. Your time can be maximized by reading when commuting to work, listening to a podcast of an article, or utilizing your break to skim documents. This will give you an idea of the items that require more in-depth reading while eliminating the fluff. This will also help you determine whether or not the publication is one that can assist you in acquiring the information you desire. If not, it’s time to find a new resource. These are just a few ways to enhance your knowledge and stay current on trends within the insurance industry. Using EZLynx Management System can also add to your productivity while providing the resources and information you need for efficient operations and customer service. Best of all, our cloud-based platform means you can keep a pulse on your business while you are out of the office, whether it’s a family vacation, attending an insurance conference, or out meeting with a client!